Sanofi is in talks with the German biotech Evotec to out-license most of its infectious disease R&D, including novel antimicrobial research. Finding new agents to fight infectious disease is becoming a major issue in pharma as research has stalled for the last few decades, as pharma shifted R&D to more profitable areas such as inflammation and oncology. As a result there have been no new drug classes in over 40 years. Meanwhile the huge threat of treatment resistant superbugs is growing: almost a million people die from infections resistant to existing antibiotics and antimicrobials each year. The World Health Organization says antibiotic resistance to is one of the three greatest threats to human health today – but amid new R&D incentives from governments in US and Europe the companies hope to change things with the new collaboration building on Evotec’s expertise in biotech. 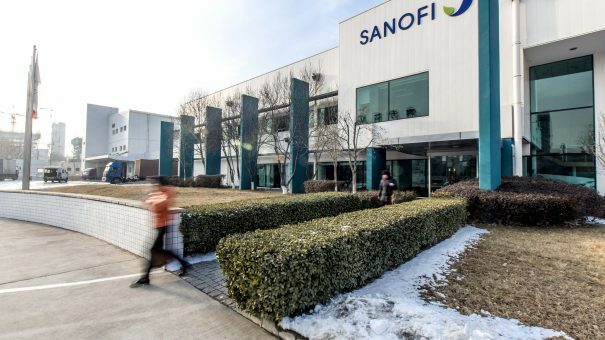 Sanofi will transfer than 100 employees to Evotec, which has committed to employ the transferred staff for five years, and they will continue to be based near Lyon. They will join Evotec scientists to foster open collaborations with other pharma and biotech firms, academia and government agencies. Evotec has particularly strong links with academia – for instance in 2016 the biotech began a drug discovery collaboration with Oxford University focused on new medicines for serious and debilitating diseases. In the deal expected to close in the first half of 2018, the companies said they plan to accelerate infectious disease R&D using open innovation at a base near Lyon, France. The deal will exclude Sanofi’s vaccines R&D and related projects, but will focus instead on anti-infective drugs. Sanofi will pay Evotec 60 million euros (£54 million) up front, and provide “significant” long-term funding to ensure support and progression of the portfolio. But Sanofi will retain certain option rights on the development, manufacturing, and marketing of anti-infective products. Evotec has developed an interest in finding new antimicrobials since its acquisition of UK contract research organisation Euprotec in 2014. The biotech will expand its infectious diseases research, including a portfolio of drugs aimed at diseases affecting the developing world. Are self-testing kits for HIV a good idea?